I got a stumper for you today. Well, probably not for YOU, but for me, because I didn’t get a chance to ask The Dad about this one. Here is a photo from Stubby’s archives. Unfortunately, we’re losing the image to the ages. 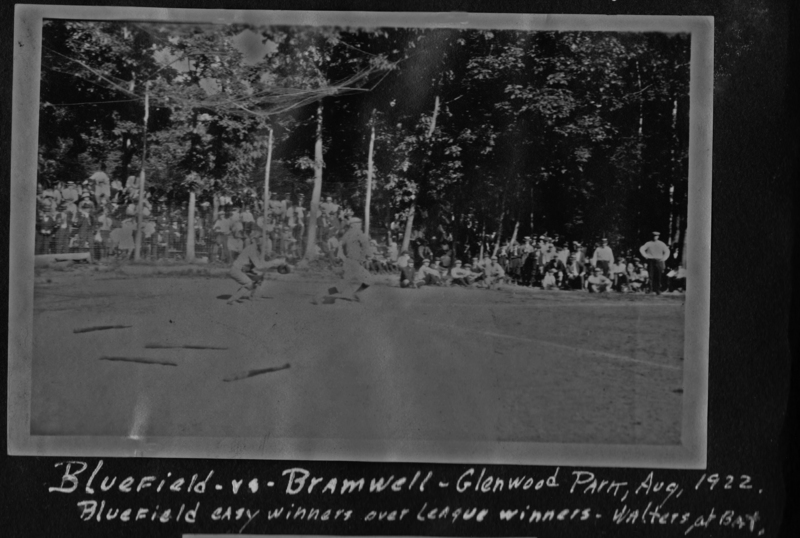 Bluefield vs. Bramwell. Click photo to zoom. Even 90 years later, I’m glad Bluefield was victorious. So we’re back after our summer break and as promised, we got some sports memories on tap. Helmets! We don’t need no stinkin’ helmets! Stubby is in the top row, far right. Click the photo to zoom. 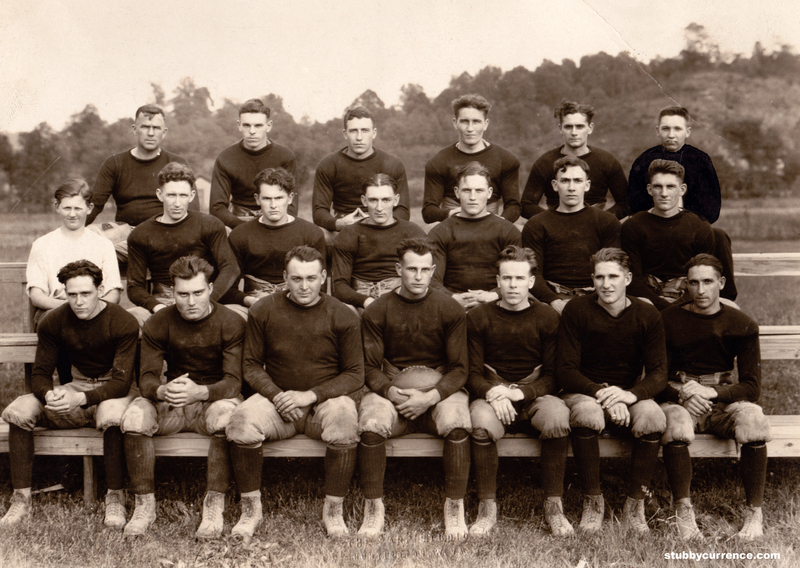 Here is a photos from what I believe is the 1922 Morris Harvey College (later renamed the University of Charleston) football team from Barboursville, West Virginia. 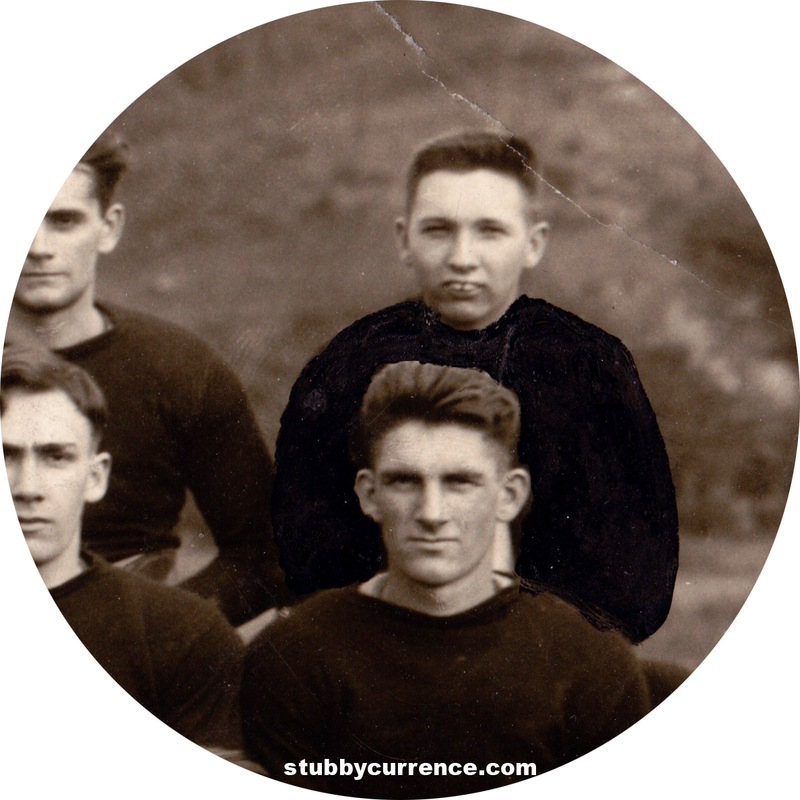 Stubby was not a player but was a coach or manager. The Dad points out that the ole Stub Man had colored his outfit in black ink because he was embarrassed by his duds. That sounded like a challenge. So I dug around and found an undoctored version of the same photo. I have some other documentation to go through to match up who is who in this team photo. Stay tuned! The Beau Brummel of Bluefield? I love a good sassing, don’t you? I found this gem by Duke Ridgley, the longtime sports editor of the Huntington (WV) Herald-Dispatch and the man credited with nicknaming Marshall University the Thundering Herd. 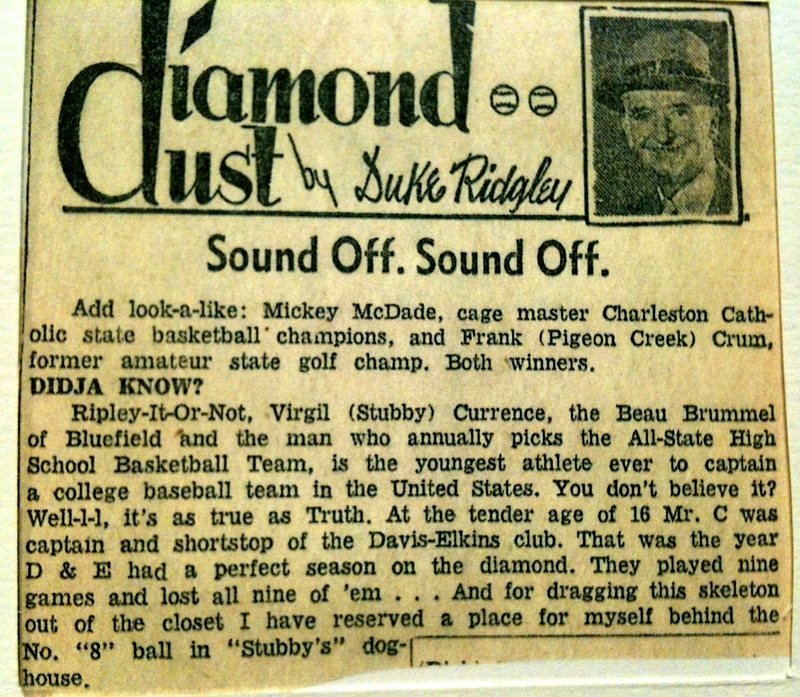 Ripley-It-Or Not, Virgil (Stubby) Currence, the Beau Brummel of Bluefield and the man who annually picks the All-State High School Basketball Team, is the youngest athlete ever to captain a college baseball team in the United States. You Don’t believe it? Well-l-l, it’s as true as Truth. 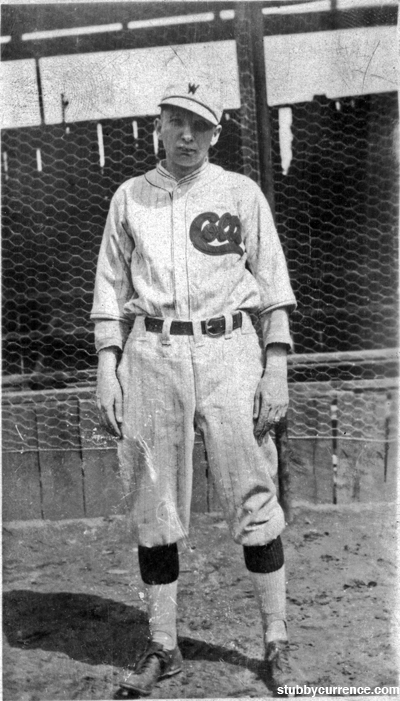 At the ender age of 16 Mr. C was captain and shortstop of the Davis & Elkins club. That was the year D & E had a perfect season on the diamond. They played nine games and lost all nine of ’em..And for dragging this skeleton out of the closet I have reserved a place for myself behind the No. “8” ball in “Stubby’s” dog house. Good one, Duke! I love the Beau Brummel reference. As if! Exhibit A on that one. 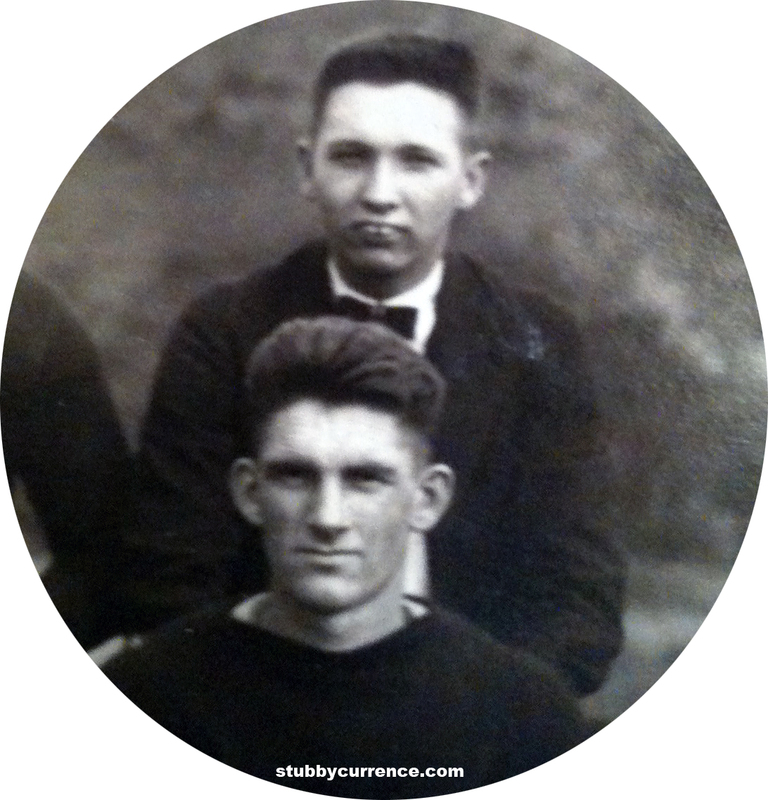 ‘Smiling Hub’ Hunter – Half-Mile Dirt Track Champion of the South. Click on photo to zoom. Race car driving was a big interest for Stubby. 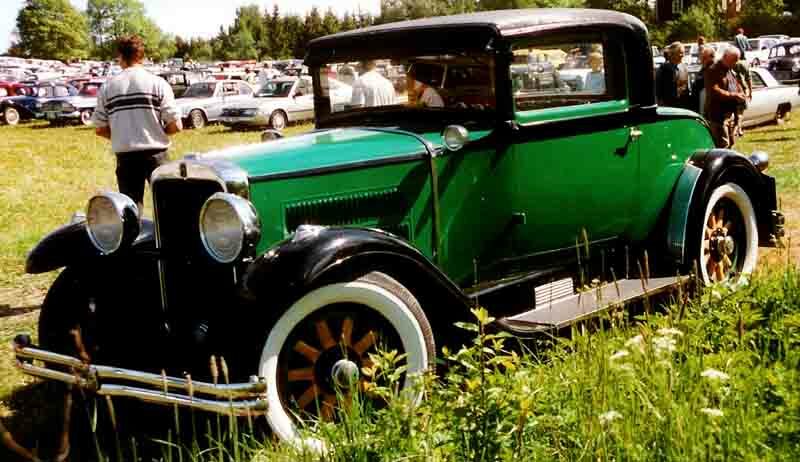 His personal papers included lots of photos of cars zooming on race tracks, plumes of smoke billowing up. 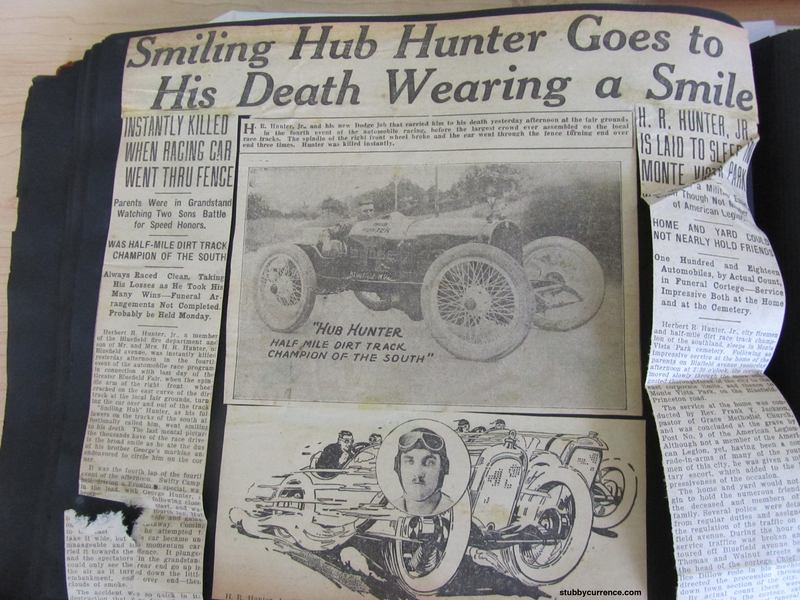 So the death of “Smiling Hub” Hunter, a Bluefield race car driver who died in 1924, must have personally affected him, since he put the press clippings in his personal photo album. Below is the full text of two articles, including Hub’s obituary. 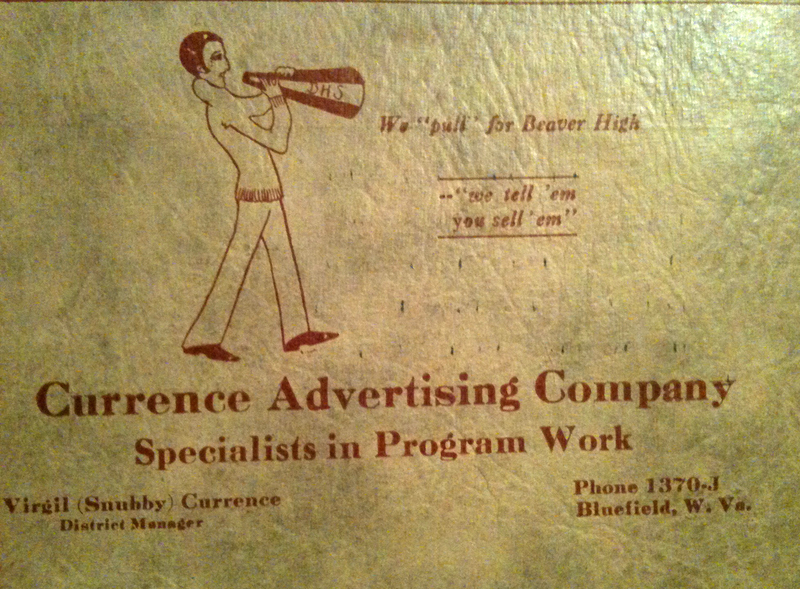 Stubby (as Virgil Currence) is listed as one of the many “flower bearers” at the end of the second article. What I don’t know: Not sure these articles appeared in the Daily Telegraph or the Sunset News or who wrote them, since there are no bylines. 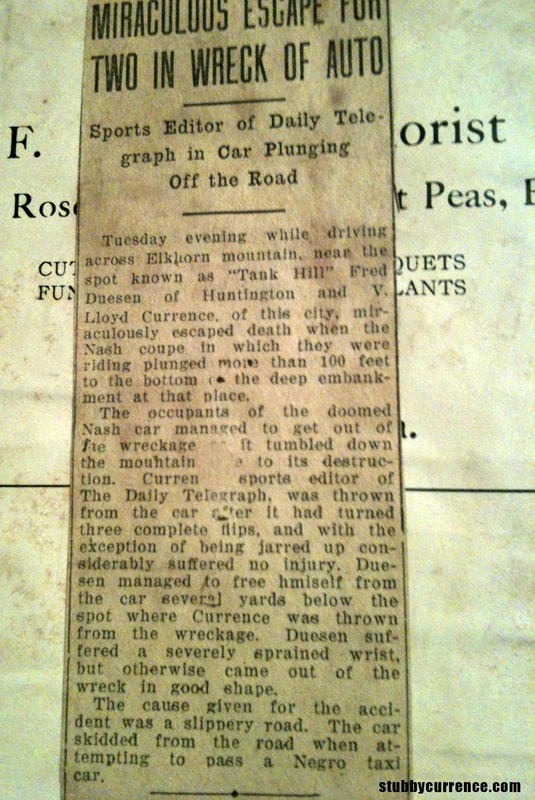 It is possible Stubby wrote them—he was reporting by 1924 and it does have his typical writing flair. Sometimes it’s easy to detach yourself when reading about past tragedies, but loss is evident even reading this today. The writing helps set the scene, but it is much more graphic than what gets printed now. Below are my favorite excerpts based on the writing. I’m making it my mission to bring back the word “machine” for “car”. That’s just classic, don’t you think? “Smiling Hub” Hunter, as his followers on the tracks of the south affectionately called him, went smiling to his death. The last mental picture the thousands have of the race driver is the broad smile as he ate the dust of his brother George’s machine and endeavored to circle him on the corner. There were hopes he might not be dead. Upon arriving at St. Luke’s Hospital one glance at the victim by the doctors ended the hopes—and the ambulance proceeded on to Hawkin’s morgue. It is probable Hunter had lost to he Grim Reaper before the car stopped. It was the first time in the history of the rack a race driver has paid the extreme penalty to the gods of the speed. There was a deep touch of sorrow in the hearts of those who had known the young man personally as they stood and witnessed his friends of the fire department and race tracks place the heaving casket in the bed of the old Seagrave and start with him on his last drive. It was a call that had to be answered, but the absence of “Hub” Hunter at the wheel was felt. The truck-bed was lined with deep mourning; two American flags hung from the ladders and on the radiator cap was tied a piece of crape. Hub had always been conspicuous as the pilot of this machine. During the winter months when the old Seagrave would come dashing thought the ice-covered streets in response to a midnight alarm, Hub Hunter was often seen wearing nothing more than his pants and boots and a thin summer undershirt and smiling at the zero weather. As the cortege reached the cemetery the remains were carried to the grave, which was at a point which overlooks the beautiful surrounding territory and from which place the cemetery “Monte Vista,” took its name. Then the post bugler played taps and the World War veteran entered upon this peaceful sleep. Many of his friends, who had held up well during the service, broke down as the notes of the bugle floated off across the valley and resounded in the echo.